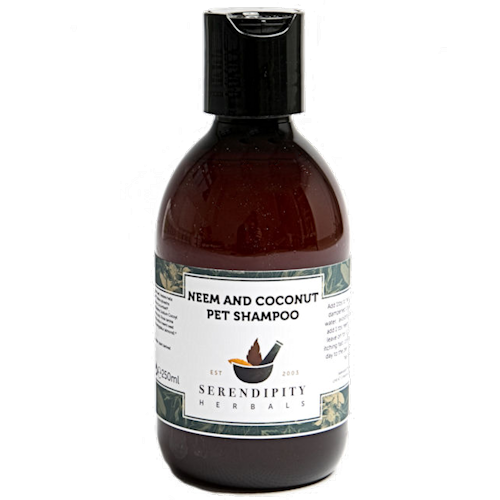 Our Neem and Coconut Pet Shampoo has a soothing formula for itchy or sensitive pets. Low lather, easy rinse formula for ease of use - Use only 1 tablespoonful per jug of warm water. 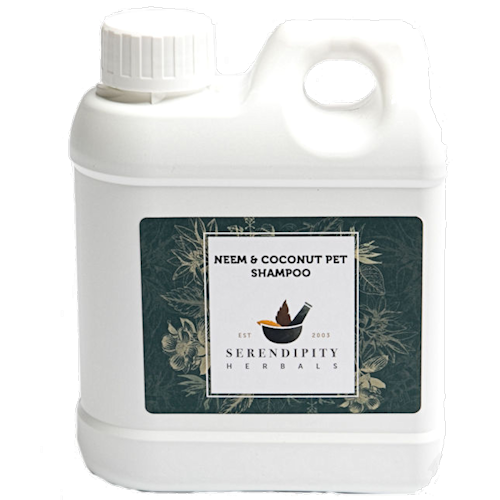 For intensive care add 1 tablespoonful of neem oil to the mix, massage into wet coat & leave on the dog for 10-15 minutes before rinsing. A long haired male cat with diarrhoea! Unpleasant for me and upsetting for him. Added neem oil to is as stated for extra neem. Used as instructions did not get much of a lather. Did not seem to do much and I was disappointed. Adding the neem oil to shampoo allows for delivery of neem to the skin of animals with a dense coat - which is otherwise very difficult. You will sacrifice lather by adding oil, but the benefit outweighs the lack of suds & you won't need to shampoo this way once improvement is noted.